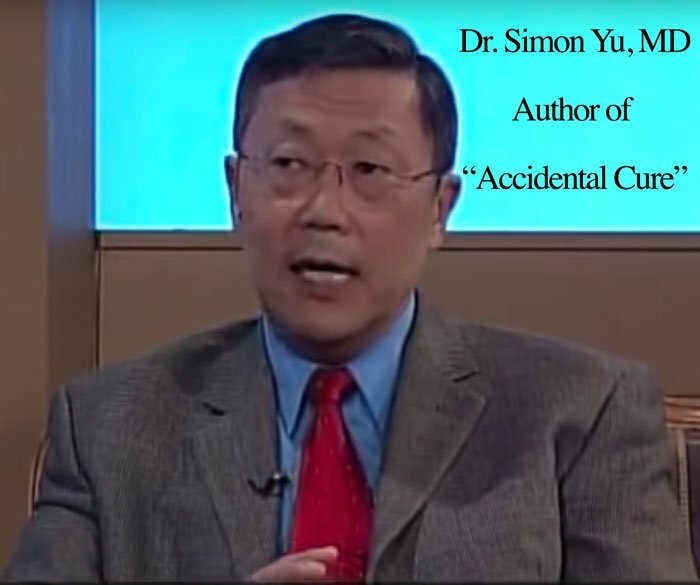 By Simon Yu MD What if there was a device which would allow your physician to obtain more information about your individual energy system, and energy imbalance which many believe is the root cause of illness, if they remain not corrected. Would you want to know about it? Would you want to try it? Well, there is such a tool. Acupuncture Meridian Assessment (AMA) is a “new” guiding tool based on ancient Chinese medicine and acupuncture principles. The explanation of the basis of how it works follows. Acupuncture, originating in China several thousand years ago, is known for alleviating pain and promoting healing of a vast number of conditions from the common cold to chronic fatigue. Acupuncture is based on the belief that the balance of the energy flow (Chi) through the meridians of the body is the essence of all living organisms for harmony and optimal health. Meridians are “pathways” of energy flow through the body. Each meridian follows a very specific pathway that includes specific organs, tissues, muscles, and bones. There are hundreds of meridians throughout the body. Acupuncture uses very specific points on a meridian to influence the Chi, the health and vitality, of all the body elements on that meridian. When the Chi, the energy flow, is blocked, the body is said to have an imbalance and will, sooner or later, suffer some sort of illness. There are over 500 acupuncture points that have been established as having specific relationships with internal organs according to Traditional Chinese Medicine. 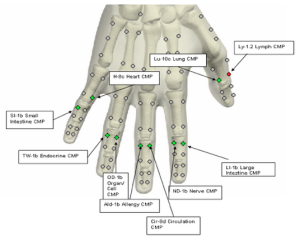 A skilled physician can, in a short time, measure about 50 major Acupuncture points. He/she may discover not only which organs have problems but also the intricate relationships of causes and effects of internal and external disturbances. For example, dental infection might be the cause or effect of an arthritic pain and heart problem; wheat intolerance might be the cause of eczema or an intestinal problem. “New environments bring new health problems. 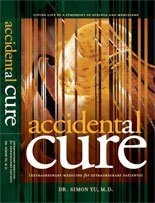 Conventional medical treatments never deal with the reasons why illnesses exist. So, what exactly is Acupuncture Meridian Assessment (AMA)? AMA simply uses an electronic device placed on acupuncture points to assess energy flow through the meridians of the body. AMA is called by various names such as EDS (Electrodermal Screening), Electro-acupuncture Biofeedback, and EAV (Electro-acupuncture according to Dr. Voll). Dr. Reinhold Voll, MD, Internist and acupuncturist in Germany in the 1940’s, noticed changes in electrical conductivity at each of the body’s acupuncture points. 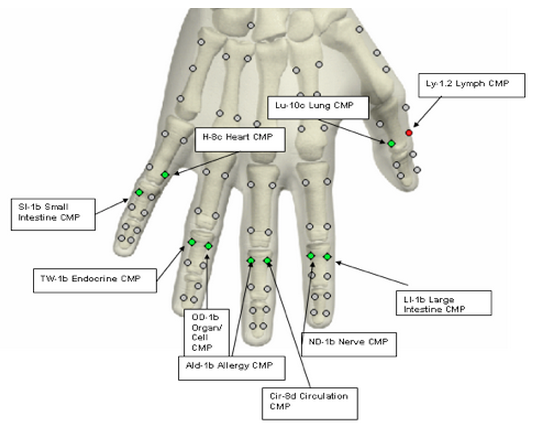 He discovered that higher or lower readings than “normal” at the particular acupuncture point indicates an imbalance of the energy flow. Higher readings indicate inflammation or irritation and lower readings indicate degeneration or low energy flow. These imbalances can indicate the root causes of illnesses that are unexplainable by modern biochemistry-based medicine. Based on Dr. Voll’s work, a new field of energy medicine was developed in Europe. Imagine your body is a fine musical instrument like a violin. A violin has four strings which must be finely tuned before you can play beautiful music. Imagine your body is a violin with 50 strings which must be finely tuned before your body can function in harmony. Checking your Acupuncture meridians to detect imbalances of your energy flow is the equivalent of checking the tuning of the violin strings. In this way, Acupuncture Meridian Assessment can help physician gather more data about the patient to better understand the patient’s health and body, and monitor the patient’s energy level and balance during treatment, as they return to the desired level. Today, AMA devices are widely used in Europe and Asia. In the United States, AMA is still unknown to most medical practitioners and the public. I have been using Acupuncture Meridian Assessment for 10 years in my practice. I cannot imagine fully understanding my patient’s need without an AMA device. To me, not using an AMA device as a guiding tool would be like navigating an airplane without radar equipment or playing a violin without ever tuning the instrument. Acupuncture and Energy Medicine are evolving very rapidly. Acupuncture Meridian Assessment is leading the way into the future of medicine. When we can integrate all the above knowledge of ancient wisdom with modern science, there will be a quantum jump in the understanding of the causes of many unexplainable, chronic illnesses from chronic fatigue to environmentally induced illness. Dr. Simon Yu, M.D. is a Board Certified Internist. He practices Internal Medicine with an emphasis on Alternative Medicine to use the best each has to offer. “Think differently! We must correct the underlying problems that cause our illnesses.